Ask what else we have on hand! Subscribe Here for Carmen’s e-Newsletter! 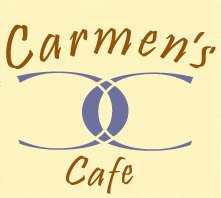 Carmen’s Cafe is on Yelp, TripAdvisor and UrbanSpoon.